Glycolic peels are chemical exfoliants, and they remove all the dead skin cells laying on top of the skin’s surface. By doing this, you will reveal healthier skin underneath and a glowing, more youthful complexion will surface. Glycolic acid is part of a family of acids called ‘alpha hydroxy acids,’ which are all fruit acids. 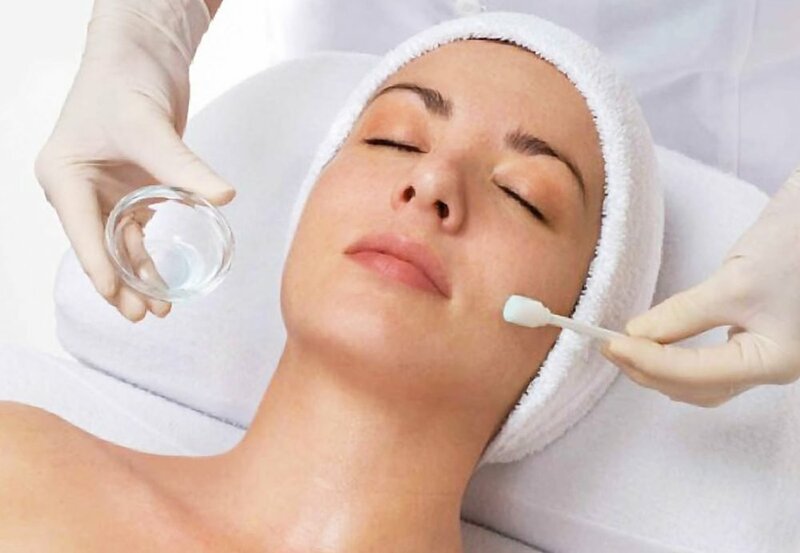 A glycolic chemical peel is one of the mildest forms of chemical peels and is great for sensitive skin types. Glycolic acid is considered a natural acid and is derived from sugar cane and fruit acids. A glycolic acid chemical peel affects the epidermis by breaking up the bonds (or the glue) in the skin that hold onto the dead cells. By removing this glue, the dead cells are then released and the newer, healthier-looking skin can be revealed. This layer of skin hiding underneath is still virgin skin and is not damaged with acne, sun spots or fine lines and wrinkles. Pumpkin peels are used to exfoliate the skin. They are made with the enzymes of the pumpkin, which brings nutrients and vitamins to the skin. A pumpkin peel usually lasts about an hour, and will feel warm when first applied to the skin. It might feel prickly to some. It will then change to a tightening sensation. Usually a series of pumpkin peels are needed to see results. Often times it is recommended to have 4 to 6 peels done, one to two weeks apart. Pumpkin peels have been known to stimulate circulation and promote healing of the skin due to the beta carotene and vitamin A. Those with sensitive skin will be able to tolerate a pumpkin peel because it is not too intrusive. Clarity and skin smoothness will be seen immediately following a pumpkin peel. Other benefits of pumpkin peels include an increase in cell turnover, increased epidermal and dermal hydration, decreased fine lines and wrinkles, lightened pigmentation, collagen production stimulated, tightness of skin, and diminished acne breakouts. Anti-inflammatory and antioxidant benefits are also seen through a pumpkin peel. Lactic acid peels are a type of chemical peel that is made from AHA (alpha hydroxy acids). They are very mild as they are derived from milk, with a very small chance of an allergic reaction happening. If one has sensitive skin or has never done a chemical peel before, a lactic acid peel is a wonderful choice. They are available in a dermatologist’s office or can also be done at home with any of the wide variety of lactic acid peels that are on the market today. Lactic acid peels are wonderful for mature skin, as well as dry or oily skin. A lactic acid peel usually range from 40% to 70% in concentration. More than one peel is usually needed for the desired effect. There is not a lot of downtime needed when a lactic acid peel is done. Redness, skin flaking and some dryness can be seen on the skin, but the skin is usually resolved within 72 to 96 hours after the peel is done. As always, we recommend coming in for your free consultation to determine which treatment will be best suited for you. Each person’s skin is unique, and we want to make sure that you receive the best possible experience for you and your body. Speaking with one of our licensed estheticians ensures that you’ll experience excellent results and leave with happy, glowing skin.